Greater Tacoma Community Foundation’s investment model is based on modern portfolio theory, employing strategically diversified asset allocation. Our endowed funds are pooled to provide investment management economies of scale and access to investment vehicles that are unavailable to smaller individual funds. 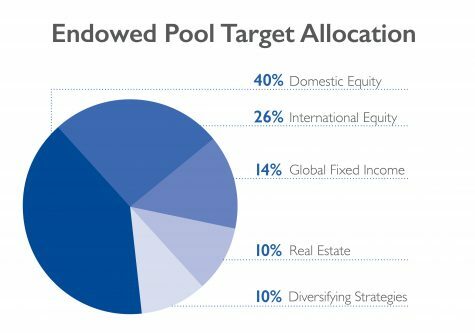 GTCF’s endowment portfolio employs a diversified growth strategy with the goal of generating a long-term rate of return sufficient to offset inflation, administrative, and management fees, plus regular grantmaking distributions. Grantmaking distributions are currently calculated at 4.3% of the sixteen-quarter rolling average market value for permanently endowed funds. Overseeing our investments is the work of our Investment Committee, which is comprised of experienced professionals with extensive backgrounds in investment and finance. The Committee adheres to disciplined decision-making processes, guided by our Investment Policy Statement. Greater Tacoma Community Foundation employs Vanguard Institutional Advisory Services as its investment consultant. Dwyer, Pemberton & Coulson, P.C. Recognizing that donors also have an interest in allocating charitable dollars in a fashion that is consistent with their ethics and values, Greater Tacoma Community Foundation launched a Socially Responsive Investment (SRI) fund that seeks to gain both financial and social benefit. 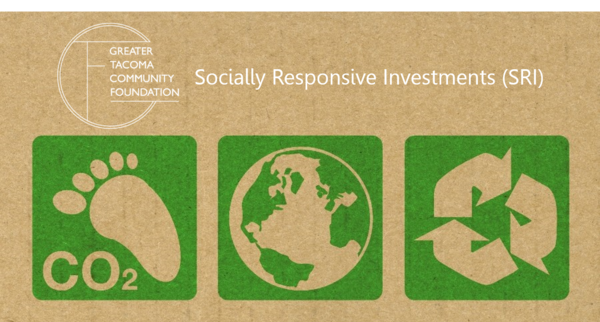 SRI funds typically focus on investments that also provide an environmental, social, and/or governance (ESG) benefit. It is important to note that GTCF is not stating what values or opinions are appropriate but rather is recognizing the desire of the community for an SRI investment option and is providing this additional service. Our team is here to answer your questions and to get you what you need to accomplish your philanthropic goals. It’s important to note that if you plan to enroll and transfer dollars to the new SRI Fund, you can choose a specific dollar amount or a percentage of your funds to go to the SRI pool, but be aware that transfers can only take place once per year. 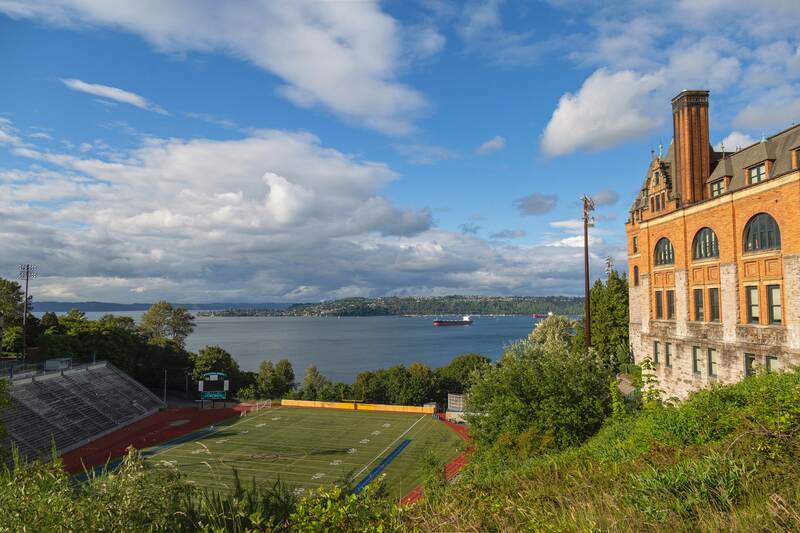 In keeping with its goal of advancing positive social change in Pierce County, in 2014, Greater Tacoma Community Foundation launched a $1.5 million impact investment program to increase access to flexible, affordable funding for small businesses. Through impact investing—a tool that allows foundations to make recoverable investments by tying the discipline of the market with the social mission of philanthropy— GTCF aims to generate positive social and financial returns while spurring economic development and job creation. GTCF has partnered with two nonprofit Community Development Financial Institutions (CDFIs)—National Development Council’s Grow America Fund (GAF) and Craft3—to implement the program. GAF and Craft3 were each awarded $750,000 to identify, evaluate, underwrite and administer investments in small businesses within Pierce County, working closely with GTCF to further its objectives. Both GAF and Craft3 have strong financial and impact performance ratings from CARS™, an independent ratings service for CDFIs. Unlike grants, impact investments use charitable assets to invest in projects that can generate revenue as well as community benefit by providing inexpensive capital—often in the form of a loan—to mission-driven businesses that wouldn’t normally have access to traditional financing. These investments provide a return through repayment or equity. Once repaid, the funds are then ‘recycled’ back into the community as new loans, thereby allowing for maximum community benefit. For more information about GTCF’s impact investing efforts check out our recent five-part blog or contact Gina Anstey at 253.383.5622. Our Forms 990 and 990T, as well as, our gift acceptance policies, are available upon request.